To firmly grasp the strategic opportunity period of the Southeast Asian market, the GoWithMi core team has recently made a significant upgrade to the project development strategic plan. GoWithMi will develop a self-organizing, self-operating commercial community platform driven by spatial digital land rights in the next six months. The summary of the plan is as follows. You are welcome to join the community to participate in the discussion and jointly promote GoWithMi to grow and develop! After the planning is improved, completed and discussed by the community, the details will be released. Travel service feature module: It is used to solve the high-frequency demand traffic pain points in Southeast Asian countries such as Indonesia, thus obtaining large-scale users. Distributed O2O feature modules: Provide O2O one-stop service support feature for participants and prosper distributed O2O business. The early participants were mainly covert from travel users. Digital land rights feature module: Freely connect global digital asset investors with local operation service providers. Provide investors with a digital land rights platform with visible investment, visible growth, and visible income. 3. The indoor map technology prototype has completed development. The main map function of Hong Kong and Singapore is basically completed, and the basic data supplement production is completed. GoWithMi officially will update the data quality completeness based on the test results and will upload some regional data in batches. The map digging treasure champion dug 0.87 ETH used 10 minutes every day! The first round of the two sessions test activity of map treasure hunt was held at 2.4~2.10 and 2.24~3.3, attracting more than 800 new people binding their wallets. The activity triggered a strong response within the community. G fans not only dug their favorite BTC, ETH, and GMAT through the activities but also experienced more of the charm of 3D maps. In particular, the treasure hunt champion has accumulated a total of 0.87 ETH in 7 days, which is nearly 800 yuan! It only takes 10 minutes a day, which is too profitable! This is not just a treasure hunt, it is already a treasure war! Special Note! The GoWithMi map treasure hunt will initate the second round of beta test before the end of the month. The Indonesian community, the Chinese community, and the English community will be included gradually. This time will add the team module, and the reward will double! Please note the announcement within the community group. 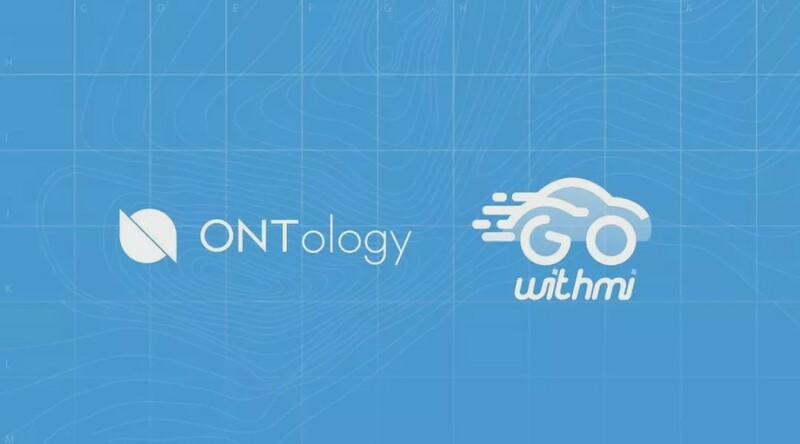 Recently, the Ontology Foundation announced its investment in GoWithMi; the value reaches million dollars. Based on Ontology technology, both parties will focus on the virtual digital land rights to promote the construction of chain service infrastructure and living applications in Southeast Asian market such as Indonesia and improve the efficiency of endogenous value circulation with virtual digital land rights as the core. It is expected that in June this year, the ecological economic system and asset facilities of both parties will be realized. 2. 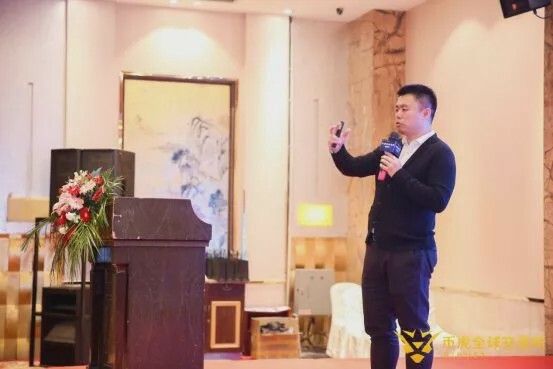 On March 9th, GoWithMi co-founder & CTO Simon Ren was invited to attend BihuEx Ecology China Wuhan Station and gave an excellent speech. 3. 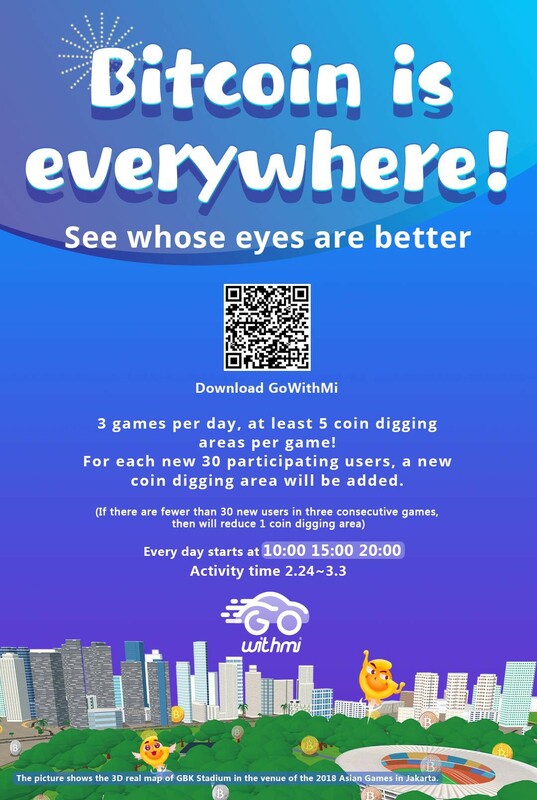 On February 26th, GoWithMi and 20 communities including Coinbig jointly conducted live events. Co-founder & CTO Simon Ren attended the event and uniquely presented the latest progress of the project. 1. Introduced GoWithMi’s strategic position and how to achieve security and fairness of location-based service. 2. Introduced the latest business scenes and indoor map technology achievements of GoWithMi to community friends. 3. Revealed recent possible brand strategic cooperation with XL axiata, the second largest mobile telecom operator in Indonesia. 4. Answered part of the questions that fans are concerned about. The total number of download users in the Indonesian community has exceeded 1.1 million, and the number of active fans has reached 20,000+. 50 WhatsApp groups have been created, with Gojek drivers as the mainstay, driving, and mining every day, contributing and sharing real-time traffic conditions on the map. Users can generate a total of 200,000 kilometers of data per day and more than 1,000 traffic events, users have generated more than 4,000 3D building data. The Chinese community includes more than 10 channels such as WeChat Group, Telegraph Group, Coin Express, Coin World, and WeChat official account. At present, the number of fans has reached 50,000+. GoWithMi continues to be the top 5 of the most active projects along with well-known encryption communities such as the Coin World and Pivot. As of today, it has been consecutively reelected for 12 weeks. In the past 30 days, GoWithMi officially published a total of 8 articles and newsletters. The number of participants in the bounty campaign increased by 760, and the number of participation increased by 1,428. At present, the direct audience of the English community has reached 10,000+, with Twitter, Facebook, Telegraph, and YouTube as the mainstays. The post coverage has exceeded 20,000 audiences, which increased by 928%. GoWithMi English community fans spontaneously generated a total of 16 small videos of various types. Facebook fans homepage views increased by 833%; fan interactions reached 5179, an increase of 846%. There are currently 39 people who have joined the volunteer translation team. The whitepaper has been translated into Vietnamese, Indonesian, Turkish, Arabic, and Russian. At present, the whitepaper has nine languages and will be gradually launching on the official website.